Sorry, I just can’t get it up… My book of the week review, that is. 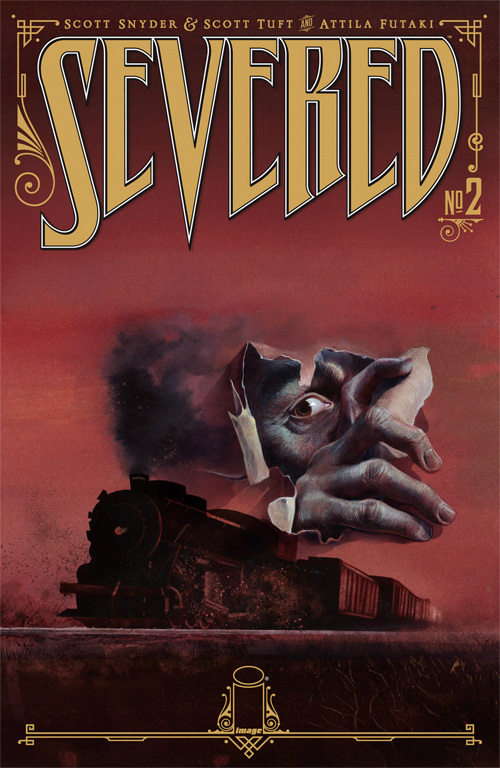 I’ve got a pretty busy week with work flowing into my evening hours, so instead of my normal (and timely) 600 word review, these are my abbreviated thoughts on Severed #2. Book of the week 37. Okay, Scott Snyder, Scot Tuft and Attila Futaki have quickly become comic book Gods in my book. In just two issues, they have created a world so realistic, so raw, yet brimming with boyish naivety and childlike optimism. This slow burning horror story set in the 1920’s really is an amazing, unique endeavor in today’s market. Last issue we met the main character, 12-year-old Jack Garron. He wants to meet his natural father, and to do so he ran away from his foster home and jumped on a freight train. This initially didn’t turn out very good. But this issue Jack’s luck takes a turn as he gets his two sole possessions back from the child molesting train-cop and finds himself that rarest thing of all in the hobo life… …an actual friend. But even his new-found friend is wearing a mask. 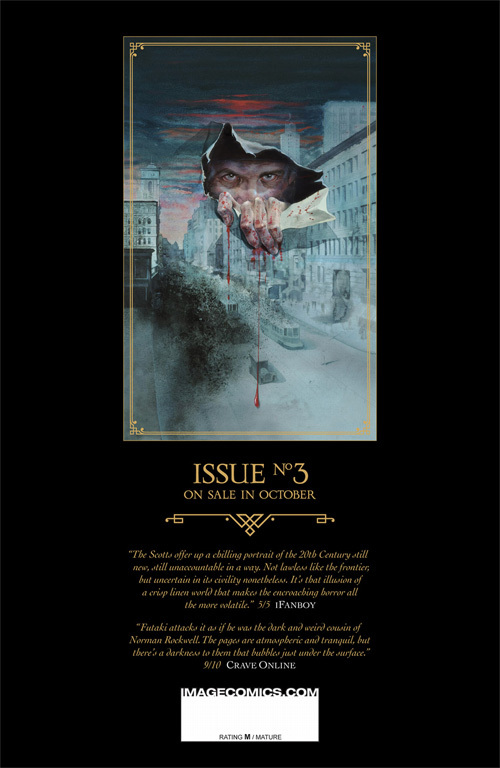 We also learn that last issue’s villain Mr. Porter is a man of many names and it’d be more accurate to call him ‘the salesman’ (a vocation fitting perfectly in the historic context of this story), also we learn that he’s no mere sharp toothed child molester, but something far more terrifying. Meanwhile it’s very interesting to see how Jack is fooling himself about his background (after he’s learned that he’s a foster child, nothing seems real to him anymore other than his father inspired hobo life) and how he handles his first big disappointment. The art by Attila Futaki is just as unique as the story. For lack of a better word, this feels kinda European (which is a bit ironic as both artist and reviewer are European). With his painterly style and cinematic storytelling Futaki lets his art breath and gives each panel enough room to maximize atmospheric effects. Just like last issue, I like Futaki’s color pallet, which strongly and effectively affects the ambiance of the scenes. This entry was posted in Book of the week and tagged Attila Futaki, Comic book review, historic, horror, Image comics, Scott Snyder, Scott Tuft. Bookmark the permalink.